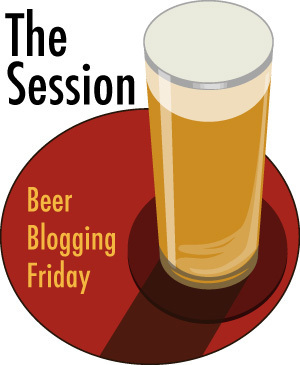 On the first Friday of every month bloggers unite, metaphorically speaking, to participate in the Session – where we write about a topic predetermined by that month’s host. This time up it’s Breandan and Elisa at Belgian Smaak who has picked the topic of My First Belgian. Here’s what they say about the origins of their chosen topic. Makes sense, really. If you had a blog called All the Way with IPA, then you’re very likely to pick an IPA theme for your Session post. Anyway, while the first Friday of the month is Session day, the day before also has some significance. Well, to me at least. I call that day ‘‘Oh damn! I’ve forgotten that tomorrow’s Session day – again. Now I have to bash something out the night before and hope it’s not complete rubbish’’. Yes, it happens to me quite regularly. On the upside, at least I’m consistent. I wasn’t overly enthused by the topic of this post. I think that’s largely because I don’t see myself as a fan of ‘‘Belgian beer’’. I mean that in the same way I don’t consider myself a fan of ‘‘Australian beer’’ or ‘‘American beer’’. Or IPAs, or golden ales or stouts. I’m just a fan of beer. I don’t care where it comes from, who makes it, what it is. Whether it’s some ultra-niche brewery nestled on the side of some huge mountain where their entire output has to be sent to market with the help of well-trained eagles who carry the beer in a six-pack device strapped to their legs or whether it comes from some mega huge brewery that might also be known for pumping out crap along the lines of Corona. To focus on just one area of the stupidly enormous world of beer just feels limiting to me. Which means I tend not to see that enormous world through Belgian beer-coloured glasses. Which also means that I wouldn’t necessarily identify a beer as coming from Belgium. I’d be more likely to identify it as a beer I like. I’m sure I’m not making much sense right now but I’m writing this the night before and I’m tired, so please forgive me. I’ve just looked at my Untapped check-ins and am a little surprised to see I’ve checked in 45 Belgian beers. I’m actually on Level Nine of the Belgian Holiday badge (I’m really surprised that the last check-in – on Sunday – was an Orval. How the hell have I not checked that in before?). I really didn’t think it would be as high as 45 – but then again, if I’m not consciously seeing things as a ‘‘Belgian beer’’ I’m not going to remember them that way. I’ve had some I liked a lot – Orval obviously, and the Rodenbach Grand Cru and Chimay White – but I sort of had to look them up to make sure they were ‘‘Belgian beers’’. You know what? I’m just going to stop right here. I’m too tired – my brain isn’t working right. Make of this post what you will. Night-night. hmm, But what’s your favourite one?